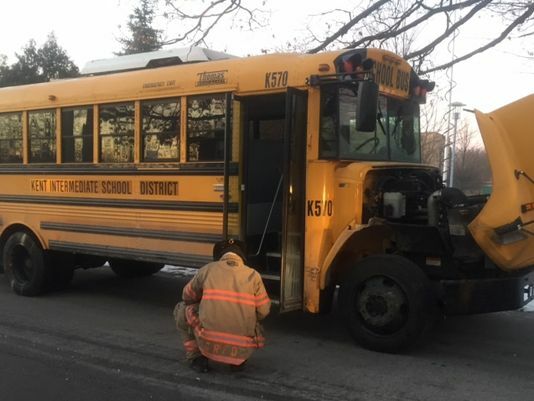 Part of a school bus fell into a sinkhole Wednesday morning in Grand Rapids. 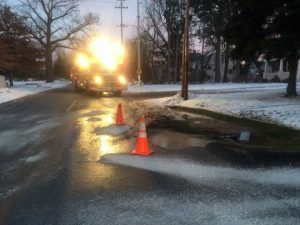 Police tell WZZM 13 a water main break caused the road to collapse around 7 a.m. near E. Fulton & Lakeside Dr. SE. Only three kids were on the Kent ISD bus at the time of the accident. No one was hurt. Lakeside will remain closed while crews repair the road.